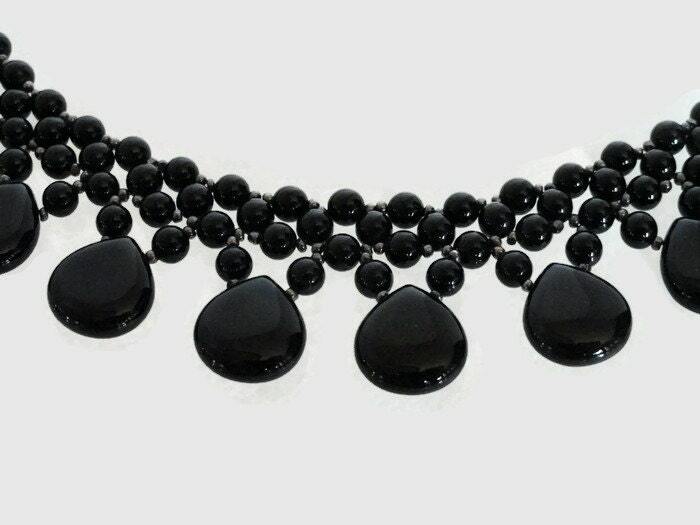 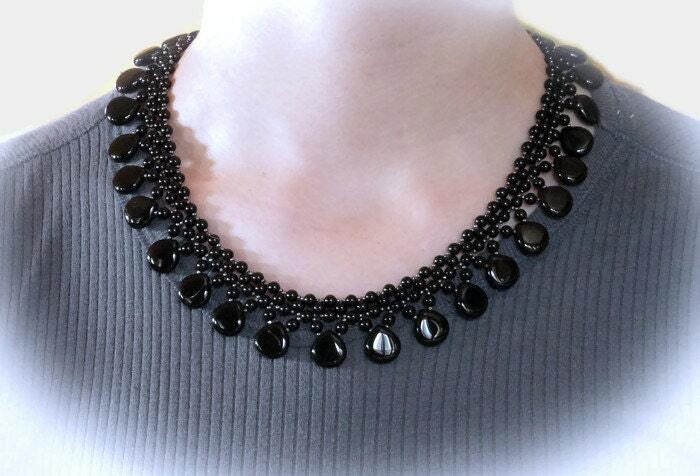 Multiple strands of black onyx are combined with drops of black onyx in this stunning display of gemstones. 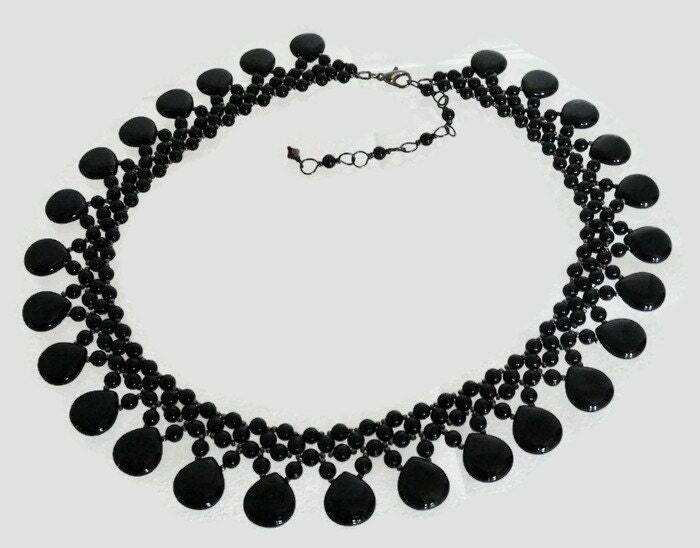 This piece is constructed using a sead-beading technique which adds strength with a nice drape. 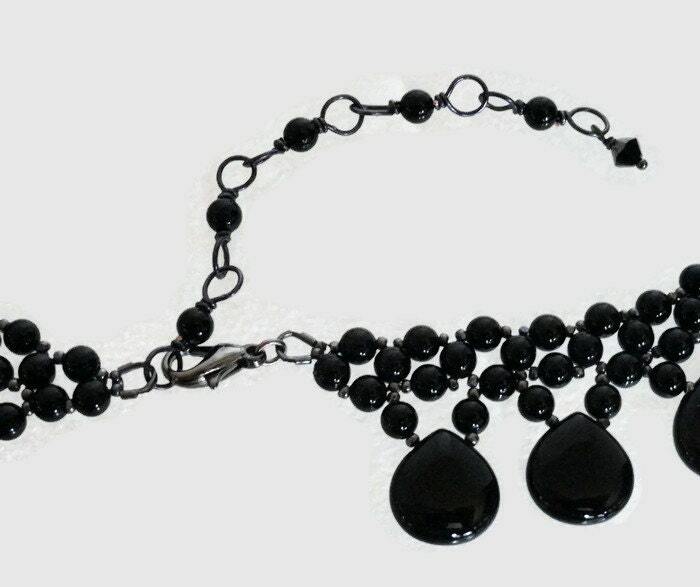 The extention clasp provides flexibility for you to choose the length you prefer.